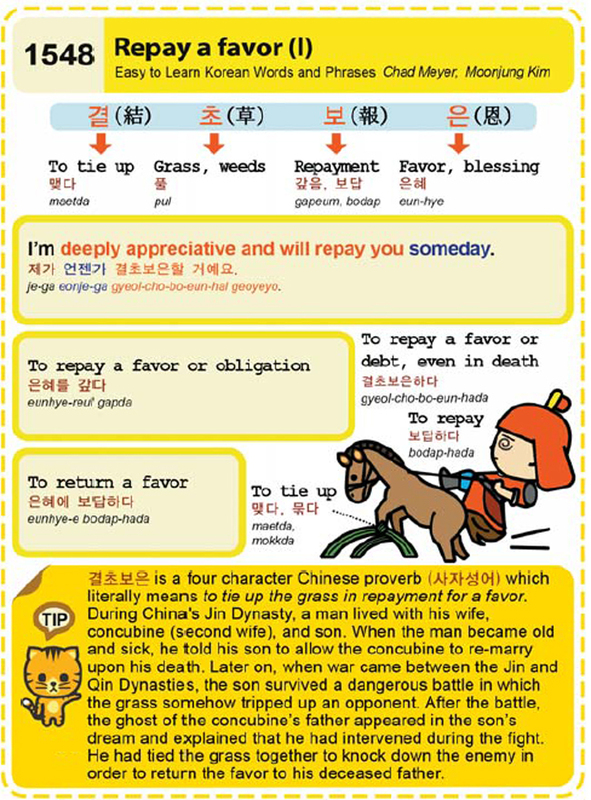 Easy to Learn Korean 1548 – Repay a favor (part one). 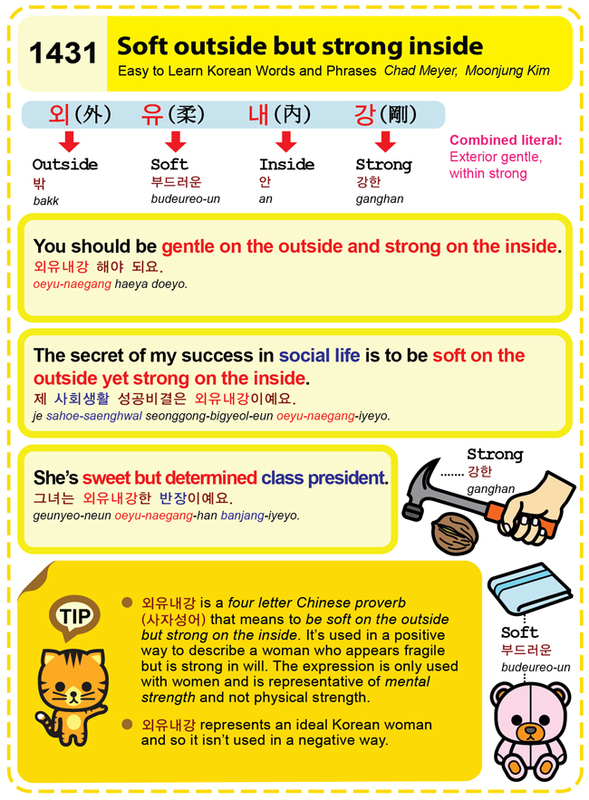 Easy to Learn Korean 1531 – Getting better and better. 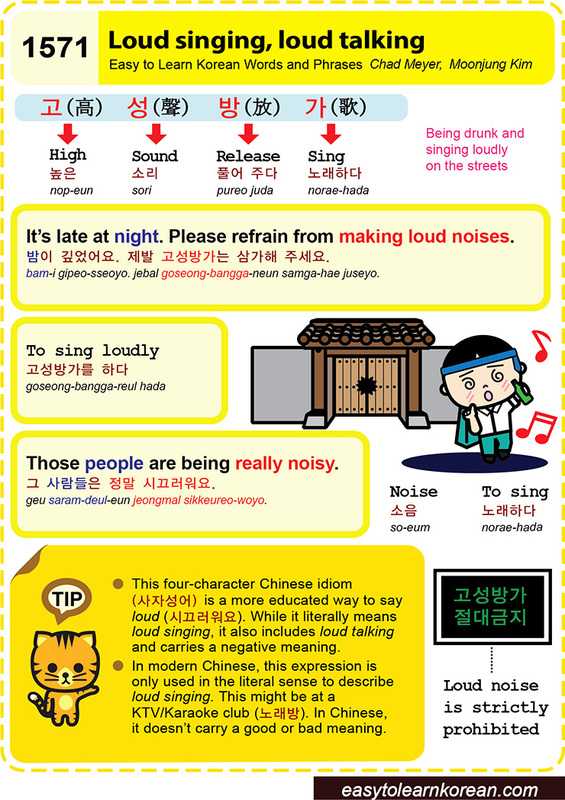 Easy to Learn Korean 1517 – Ignorance and being ignored. 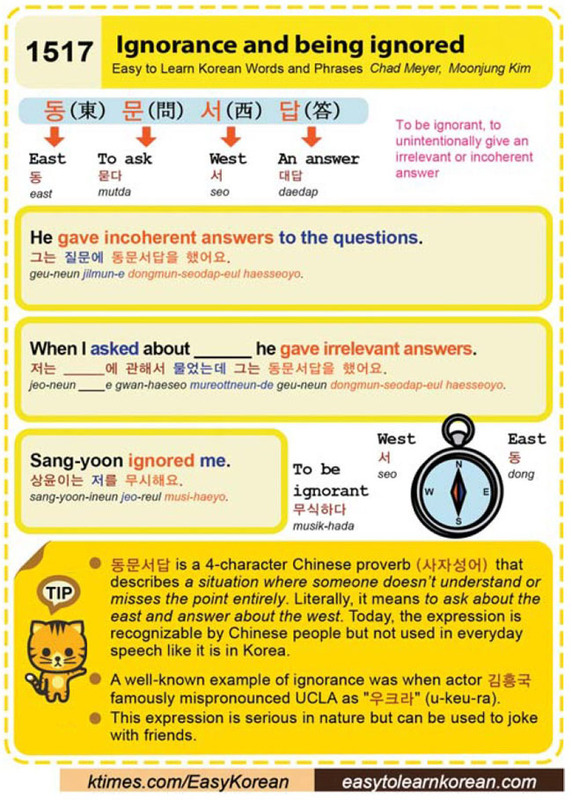 Posted in Series	| Tagged a situation where someone doesn’t understand or misses the point entirely, Answer, being ignored, dong, east, He gave incoherent answers to the questions., ignorance, Sang-Yoon ignored me., To ask, to ask about the east and answer about the west, to be ignorant, west, When I asked about it he gave irrelevant answers., 問, 東, 答, 西, 그는 질문에 동문서답을 했어요., 김흥국, 답, 대답, 동, 동문서답, 무식하다, 문, 사자성어, 상윤이는 저를 무시해요., 서, 우크라, 저는 에 관해서 물었는데 그는 동문서답을 했어요.